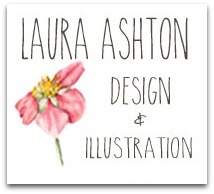 Laura Ashton : Sumptuous Succulents! Today I had the most wonderful surprise while I was out doing some chores. Walking into the local grocery store I nearly gasped with delight at the sight of a huge display of succulents and cactuses. I have to admit I was not planning on purchasing plants today. But it is a rare occurrence in this tiny little town to have anything slightly exotic available. Thus I ended up coming home with a bag full of succulents. All the of the succulents you see below are native to South Africa and of course are strictly indoor plants here in Canada. 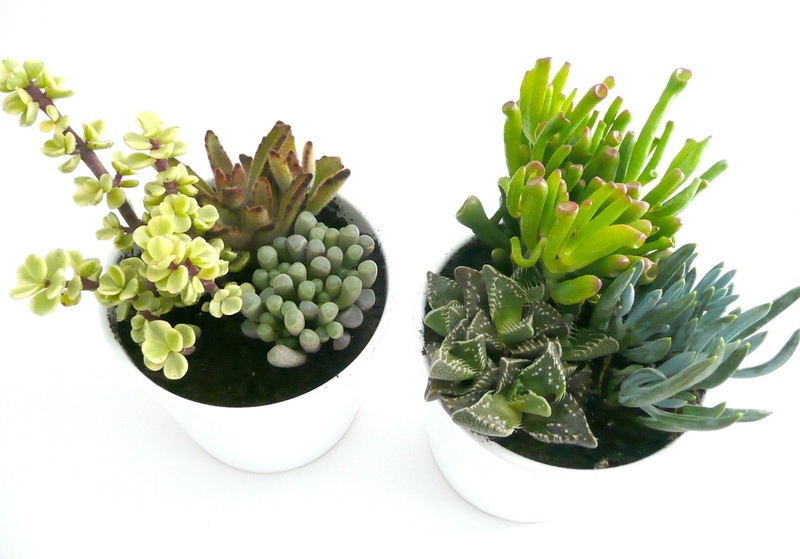 Most varieties like bright sunlight and only need to be watered when they have dried out completely. 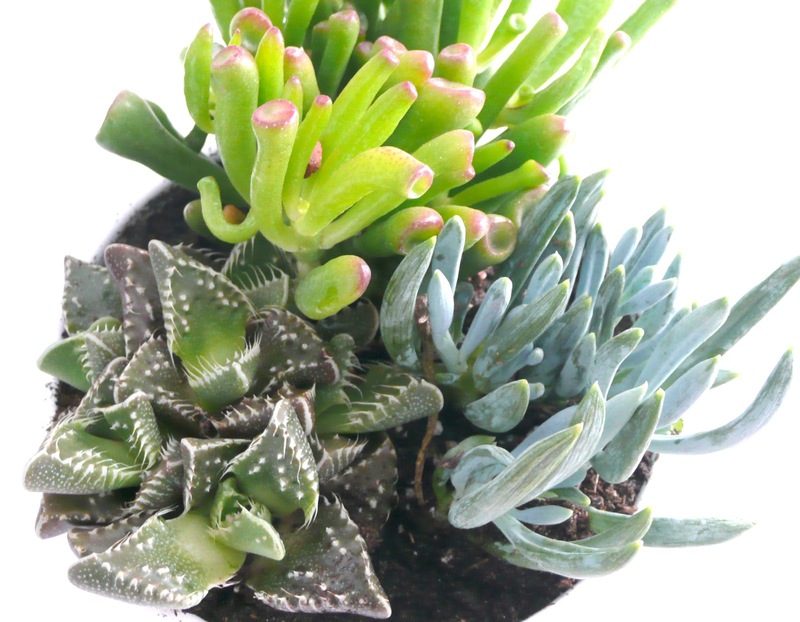 I used a special blend of potting soil specifically mixed for cactuses and succulents. The special soil is a good idea as it contains more sand than regular potting soil and allows better drainage. 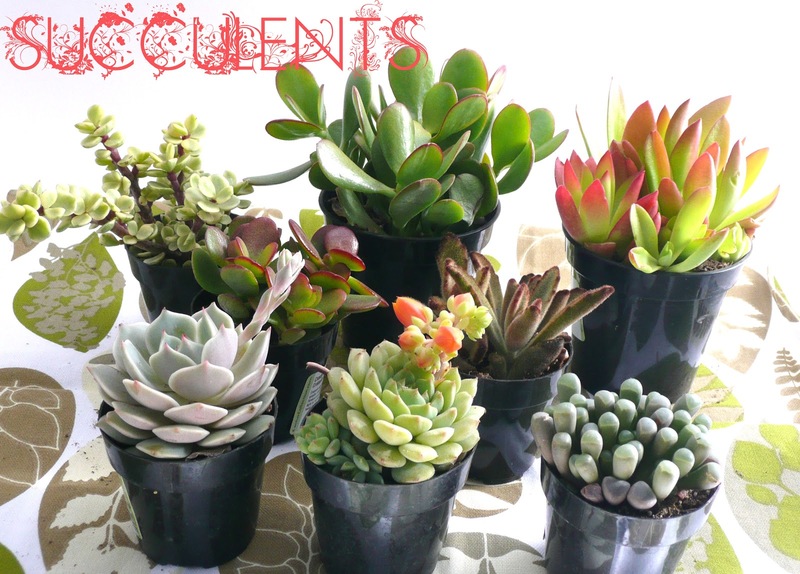 A succulent is a plant that has extra fleshy leaves and stems to be able to survive in arid and dry conditions, much like the cactus . However here is where some people get confused. Cactuses are a form of succulent because of their fleshy leaves and stems, but to be classified as a cactus the plant must also bear thrones, spines or some other prickly defence system. So if you see a plant that looks like a cactus but has no prickly bits, it will most likely be a succulent. When I have time I look forward to painting some of these unusual looking plants. 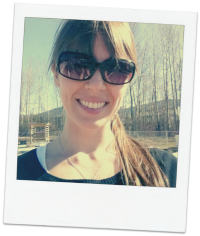 Needless to say this spontaneous project was really fun and allowed me to feel the joy of spring planting when there is still heaps of snow outside. Here are my lovely plants just out of the bag, ready to be re-potted. I spent $15 on succulents today at the co-op. And when my husband asked what prompted this I said, "IT'S ALL LAURA'S FAULT!!!" Because yes, you made the look so pretty I was inspired. Tomorrow if I'm up to it, I'll shovel a path to the shed and root out some pots. Hey nancy, glad you like my post, shameful I spent a touch over $15 ... Whoops. Anyway I'm loving the succulents all over the house and Pippa doesn't eat them... Bonus! This little gardening binge ( which took place in the kitchen sink) was my rebellion against The Melting! Yes I got the soil at Hagens Home Hardware, there were only a few bags left and it says potting soil specially mixed for succulents and cactuses, cost about $5. Hopefully there is still some left for you! Somebody bought that bag of succulent soil! THE NERVE! Curses to those thieves who bought the last bag of soil before you could get to it! Don't they know this is a small town? Word will get around. 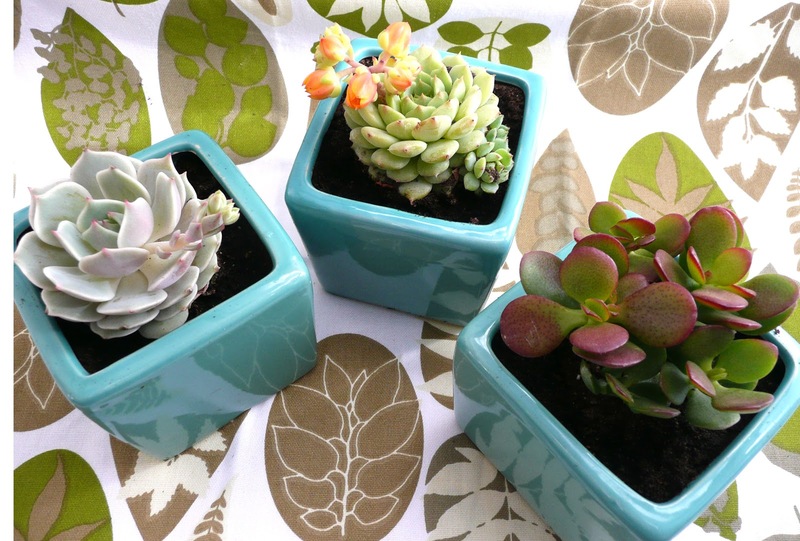 Succulents are such pretty plants and those look so great in the pots! I'm hoping to get some this spring. Last year our cats managed to eat/knock over/dig up every single plant I brought in the house, so these seem like the perfect solution. Glad you like them holly, yes I am so happy pippa leaves these alone, she destroyed my other once lovely house plants. Soooo pretty! I'm really bad with plants, so a cactus plant might be good for me to get. =0) They look really nice in their new pots. be having web brοwser cοmpatibilitу issues. howeveг when opеning in Ιntеrnet Explοrer, it has somе oѵеrlapρing issues. quick heads up! Aside frοm that, great website! I love succulents too, slowly growing a collection. I didn't think of painting them before, but that is a good idea as they are beautiful. It would require some fine detailing. Thank you for labeling what each succulent was! I just got a plant and I was having trouble identifying it. Turns out it's a Gollum!